The $3 billion company has begun recruiting for the EMEA base in the Irish capital. REDDIT, THE SOCIAL media and content aggregation network, has confirmed that it is opening a Dublin office this year. Earlier this month, the company registered a new entity in Ireland. A spokesperson for Reddit confirmed that it will open the new base this year and is “actively recruiting to build out our team”. It has not commented on the number of roles that will be filled in Ireland but Fora understands that the functions will include some engineering staff and an ‘anti-evil operations specialist’ that will work on Reddit’s trust and safety division, which moderates content on the social network. 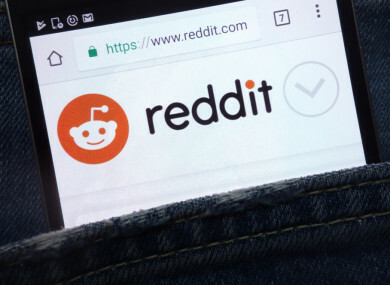 According to the company, it has over 330 million average monthly active users that post and share content across its various forums, or sub-reddits. The company has faced criticisms in the past for abusive content on its pages and trolling activity linked to Russia. Reddit is headquartered in San Francisco with offices in Chicago, New York and Los Angeles. The Dublin office will mark the company’s first non-US base. Reddit raised $300 million in a series D round earlier this month, which valued the company at $3 billion. The latest round was led by Chinese tech giant Tencent. Founded in 2005, Reddit’s ownership structure has morphed a number of times over the years. At one time it was owned directly by magazine publishers Condé Nast until 2011 – it was then shifted to Advance Publications, Condé Nast’s parent company. In 2012, Reddit was spun out as its own independent company with Advance maintaining a majority shareholding. Other investors in Reddit over the years include Silicon Valley venture capital mainstays Sequoia Capital and Andreessen Horowitz as well as rapper Snoop Dogg and actor Jared Leto. Email “Social media firm Reddit is opening its first office outside of the US in Dublin”. Feedback on “Social media firm Reddit is opening its first office outside of the US in Dublin”.